There is no predetermined path to a role in the wine and spirits industry. For many, what starts as a passion sparks a career, but there are stepping stones which can pave the way for success. Here we look at the routes to roles of eight leading industry professionals. Route to role: After graduating with a Viticulture and Winemaking Degree, Yang spent three years as a sommelier for Peninsula Shanghai where he began to raise the profile of local, Chinese sommeliers. He became a key influencer in the wine scene, acting as a wine judge, columnist, winning various sommelier competitions, and translating major wine books (e.g. How to Taste by Jancis Robinson MW). In 2011, he completed his WSET Level 4 Diploma. Yang would continue a strong relationship with WSET as an educator, and in 2016 he was shortlisted as a nominee for the WSET Outstanding Alumni Award. By 2017, Yang became China’s first Master Sommelier. Yang now oversees the Shangri-La Group’s wine programme and sommelier team. Route to role: Ryan began his career training as a chef in a catering college but yearning to interact with customers he stepped behind the bar. He gained experience working in bars, first in London and later in Edinburgh where he started studying Biology but ultimately came out with a degree in Philosophy. He ended up at Edinburgh’s Bramble where he developed his palate and read into the science of how taste works. After graduating he went to work with Tony Conigliaro in London and ran the lab at award-winning cocktail bar 69 Colebrook Row. He opened his first bar, White Lyan, in 2013 and has since opened Super Lyan, Dandelyan and Cub. The aim of life is to learn continuously and to improve one’s own knowledge. Route to role: Fongyee became interested in wine when she was introduced to the Cambridge University Wine Tasting Team whilst studying for a PhD. She began educating new arrivals about wine tasting and enjoying it much more than teaching the finer points of translating Classical Chinese into English, made the decision to teach wine instead. When she moved back to Beijing she saw the demand for wine education, so having completed her WSET Level 3 Award in Wines she opened WSET Approved Programme Provider, Dragon Phoenix with Edward Ragg. She completed her WSET Diploma in 2008 and became the first professional in mainland China to gain the Master of Wine in 2016. Route to role: Felicity began her wine career as a copywriter for Cellarmaster Wines, in Sydney, a company that took wine training seriously. Later she re-trained as a journalist and worked as a general feature writer pitching the occasional wine story to magazines and newspapers. As she gained more column inches covering wine she quickly realised she didn’t know nearly enough. When a job on a European magazine came up, she applied immediately and having completed her WSET Level 3 Award in Wines was later made editor-in-chief. Fifteen years after that first job, she still feels she doesn’t know enough, but is better equipped than she was. Route to role: In 2011, while working as Trainee Manager for UK retailer Majestic Wine, Lucy gained the WSET Level 3 Award in Wines. Shortly afterwards, she travelled around the country teaching restaurant and bar staff about wine education, specifically how to communicate food and wine pairings to consumers. She has since qualified as a WSET Certified Educator and is now the Champagne Ambassador at Moet Hennessey. She finds being an official WSET Educator, coupled with her prior WSET qualifications, extremely useful as she is constantly teaching people about the brands she represents. Additionally, she stresses that a deep comprehension of the wine and spirit world enriches you as a person and can give you added value when it comes to personal and professional success. Route to role: Having grown up surrounded by the Yalumba family estate, it is no surprise Michael spent his first seven years in the industry at Yalumba, but his interests took him elsewhere before turning to winemaker himself. He became a Cordon Bleu-trained chef, wine judge, writer and later restauranteur, before his desire to study brought him to the UK. He completed his WSET Diploma in 1985 and became the first Australian Master of Wine in 1988. He moved back to Adelaide and co-founded Shaw + Smith and Tolpuddle Vineyard with his cousin Martin Shaw. He has since been awarded an Order of Australia and co-chairs the Decanter Wine Awards. Route to role: Maggie studied wine for years but working in a boutique retailer with a great selection of hand crafted spirits gave her the opportunity to visit and befriend her local distillers. She saw huge potential in an exploding market and loved the upward mobility that contrasted with the crowded wine world. She built on her existing wine knowledge with spirits and learned how the two go hand in hand. She learnt the concrete steps of distilling through her WSET Diploma and a diploma from the Siebel Institute in Craft Distillation and Technologies and travelled all over the United States and Europe for over a decade gathering the practical skills of distilling before becoming Head Distiller at Privateer. In 2018 she was named in Wine Enthusiast 40 Under 40 Tastemakers, a coveted spot that recognises her involvement in the American spirits industry. Meanwhile, she is also studying for her Master of Wine. My formal wine education helps me in everything I do whether this be tasting, wine production, consulting or just enjoying a good bottle. Route to role: Ian gained industry experience working in a variety of roles; wine educator, wine book translator, sommelier, and wine event organiser. His diverse background made him a jack of all trades, including a consultant for various wine projects, events, and start-ups during the industry’s initial boom in Mainland China. Having achieved his WSET Diploma in 2014, Ian went on to be Senior Vendor Manager, Wine & Spirits for Amazon China. During his tenure at Amazon China, his main role was not only to select a portfolio of wines, but also to develop the appropriate sales and marketing strategy to attract brand conscious consumers to purchase the wines. Ian is now in the second stage as a Master of Wine candidate and has his own e-commerce consultancy, You Meng. There are many routes to a successful career in the industry, but a formal education can provide a strong foundation for any path. 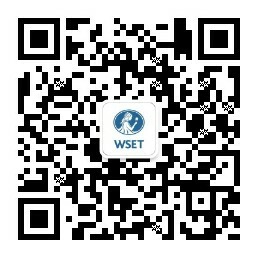 Visit the "Where to Study" page to find a local WSET course provider near you to start your journey.